Bloomingdale's has reached an agreement with workers at its flagship New York store, narrowly averting a strike. The department store will no longer require sales clerks to prepare online orders for in-store pickups, and managers cannot ask workers to leave their departments if it could cause them to lose a sale, according to the Retail, Wholesale and Department Store Union, which is representing the Bloomingdale's employees. Members of the union say the deal will help ameliorate wages lost to online shopping. "I am proud of the stand our membership-driven negotiations committee took to point the spotlight on a growing epidemic in retail -- online sales, which negatively impact[s] our membership, which is largely a commission based sales force," Cassandra Berrocal, president of the local RWDSU chapter, said in a statement. The union covers 2,000 workers at Bloomingdale's flagship location and administrative headquarters. Its most recent contract with the company, signed in 2012, expired Monday. Chelsea Connor, the union's spokeswoman, had said a strike was on the table. The new four-year deal also stipulates that some workers will now be paid hourly wages, instead of on a commission structure. General wage increases and a higher percentage of company funding for medical and sick day benefits are also included, according to the union. Additionally, workers who owed money to the company because they had missed sales targets will essentially have their debts nullified, the union said. "Effectively, everyone gets a clean start," Connor told CNNMoney on Monday. Online orders are likely to be an ongoing issue. Bloomingdale's said store employees will still need to "complete sales-related duties such as fulfillment" when they aren't with customers or on the phone. "These activities are basic and help support the in-store experience," spokeswoman Anne Keating said in a statement issued Tuesday. Connor, in response, said that the contract's language does not mandate online order fulfillment. "Can they ask? Sure. Will our workers comply? Yes, but under protest," Connor said. The union made the negative effects of e-commerce on workers a key issue during negotiations. Initially, store clerks demanded that their pay packages include commission on sales that in-store shoppers later placed online. That item "was not able to be negotiated into this contract," Connor said. Bloomingdale's had 55 stores as of January, according to the latest filing by parent company Macy's (M). 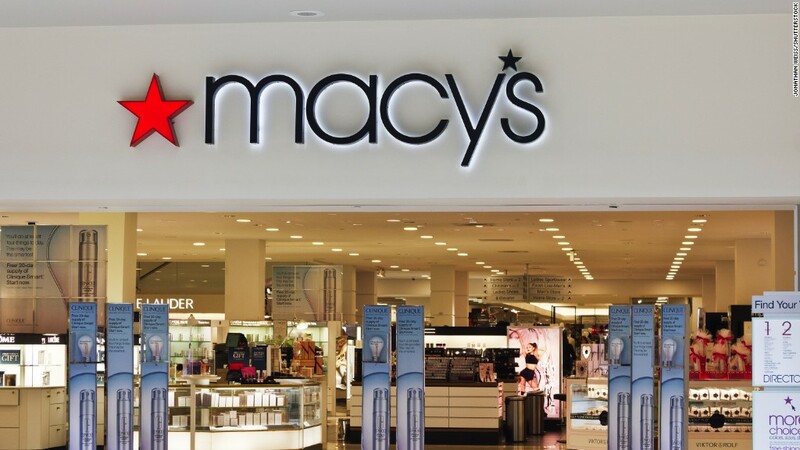 Macy's has been struggling to deal with declining foot traffic at its brick-and-mortar stores, facilitated by the online shopping boom and Amazon's growing apparel sales. The company said in January that it's shutting down 68 stores and cutting more than 10,000 jobs -- part of efforts to close 100 stores announced last August.